We're showcasing all that Washington DC has to offer right here. 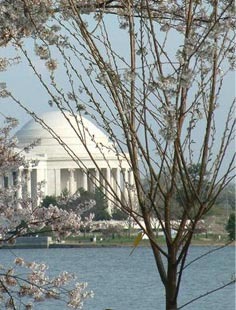 Visit Washington DC Online offers helpful information for both visitors and residents. You'll find information about Washington DC accommodations, from boutique hotels to historic inns; Washington DC attractions and activities that will satisfy visitors and tourists. Washington DC dining offers a variety of cuisines and dining options. So, take a look at Visit Washington DC Online - enjoy your visit! 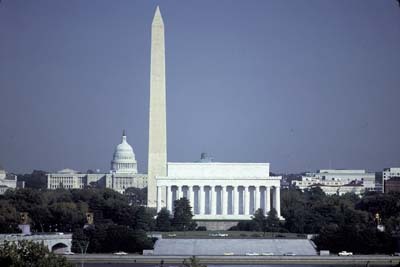 Historical monuments, museums, and government buildings abound in Washington. Around the Mall, a park in the center of the city, you can find the US Capitol building, the museums of the Smithsonian, the National Archives, the White House, the Washington Monument, and the Lincoln and Jefferson Memorials. Across the Potomac river in Virginia are the Pentagon and Arlington National Cemetery. Just to the northeast of Washington in Maryland, an easy car ride away, is another great city, Baltimore. The Chesapeake Bay and the Atlantic Ocean are easily accessible. The city and the surrounding suburbs in Maryland and Virginia have an active and exciting night-life. There are clubs, bars, and theaters to satisfy any taste and restaurants of nearly every type in existence. A Washington DC family vacation can be great fun and educational. You'll learn all about American history by visiting the museums and government buildings and have other fun experiences as well. For example, your entire family will have a great time at the National Zoo viewing the exotic animals on display. Lions, tigers, and bears, oh my! For older children, the Smithsonian Museum is an inspiring and unbeatable educational value. You'll see the Spirit of St. Louis, the first plane to cross the Atlantic, and the capsule that carried John Glenn into orbit around the earth. They'll love holding an actual moon rock brought back by the first astronauts to set foot on the moon. The Declaration of Independence is on display at the Museum of American History, and for the kids, the stuffed and mounted horse Comanche, the only survivor of the Battle of Little Big Horn. Colonel George Custer made his famous last stand there and entered the annals of American history.